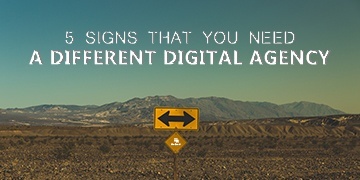 A strong digital agency can play a key role in the success of your online marketing activity. Whether your business lacks expertise, time or resources, an agency can fill this space and provide much needed support that will help you achieve your business goals. Of course, finding the right agency is key, as these are the people who will work with you daily to increase the reach of your business. There are thousands of agencies to choose from - it’s picking the right one that’s the hard part. Great ideas mean nothing if they aren’t going to play a part in growing your business. Don’t be fooled into buying into an idea that isn’t going to add value for your business. If you are paying for an agency, you want to see a return. Whether it’s through paid or organic marketing, ensure that the agency has done some research around your industry and competitors. Their pitch should be tailored to your requirements - it will be easy to spot those who are trying to fob you off with the same presentation they’ve been using since 2010! This may seem like a given but you need to be sure that the experts are actually experts! Prepare some questions for their visit and test them. This will give you peace of mind when you are ready to select an agency. You can also do some background checks and see how active they are in the digital community. At theEword, we run regular workshops and social events to ensure we are at the forefront of the Manchester digital community. Everyone has to start somewhere, but if no one you ask has heard of your agency, this is potentially a bad sign. You want your agency to think outside the box. With great ideas comes great coverage. The ideas could be from a simple blog to a large creative piece that would encourage users to share online. Ask your agency to provide you with case studies based on work they have created for their other clients and the successes and challenges they have faced. Don’t be afraid to ask. If they are truly a great agency, they will be confident about sharing their previous projects with you. One of the most important things about hiring an agency is making sure that you get along. 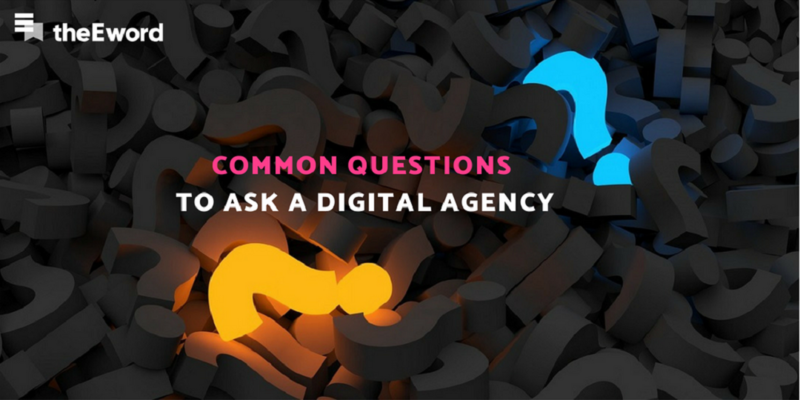 If there is no chemistry between you and your agency, it may be time to look elsewhere. You want to find an agency that is as passionate about your business as you are and wants to nurture and grow your business with you. Ensure that you meet the people who you will be working with day-to-day. Choose an informal space for the first meeting, where you can get to know them and see if you share a connection. Trust is also a very important factor in the success of your campaign. Allowing a third party access to your site is undoubtedly a big commitment, so ensure you are happy with allowing an agency to do this before you start working together. 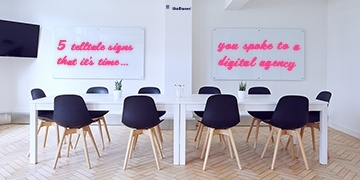 Time is of the essence with digital campaigns, so it’s important you get off to a good start.